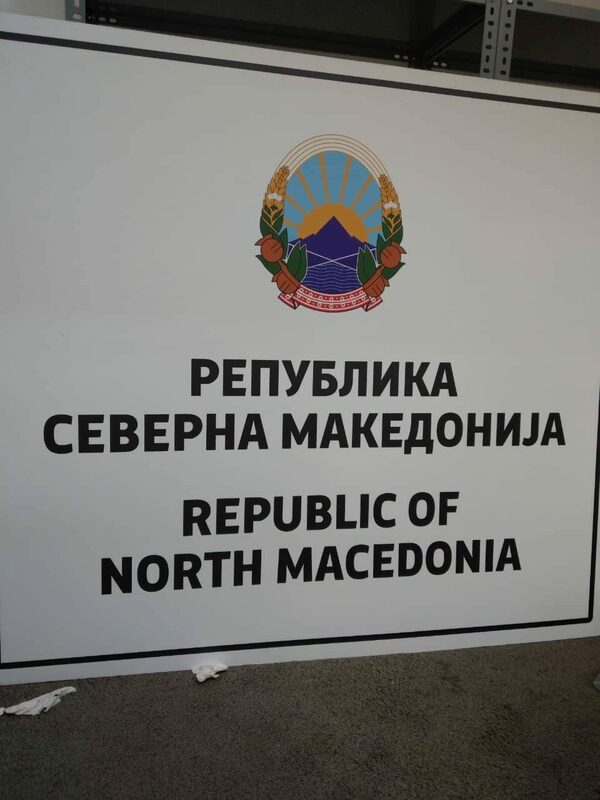 A large sign declaring the Republic of Macedonia to be the “Republic of North Macedonia” was delivered today at the Bogorodica – Eidomeni border crossing with Greece. It is still not up but it expected to replace the Republic of Macedonia board soon. Under the Prespa treaty, after Greece ratified Macedonia’s NATO membership, Macedonia must begin implementing the name “Republic of North Macedonia” both internationally and domestically. A myriad of other instances where the name will be replaced should follow across the country.